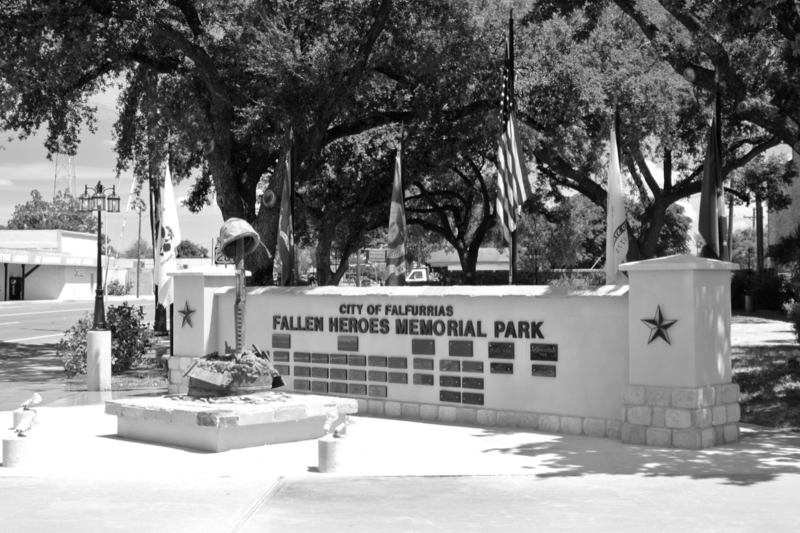 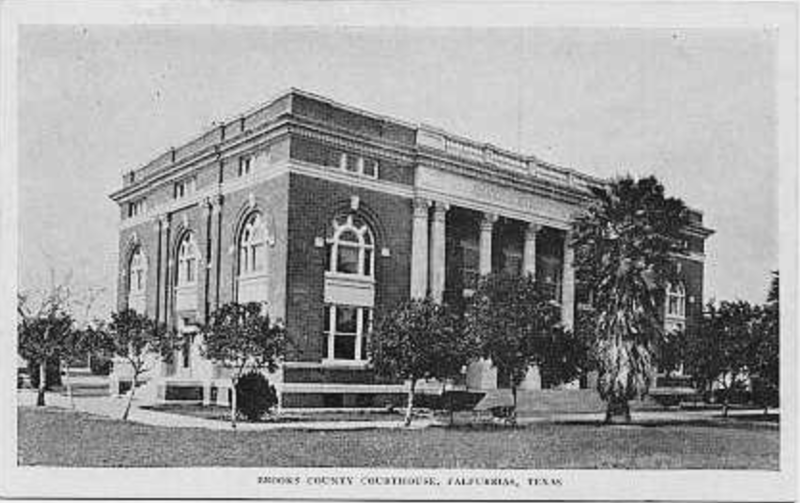 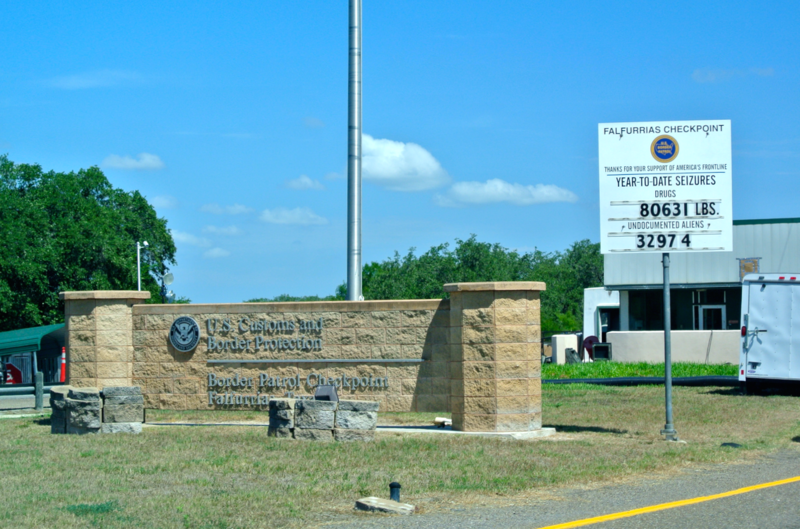 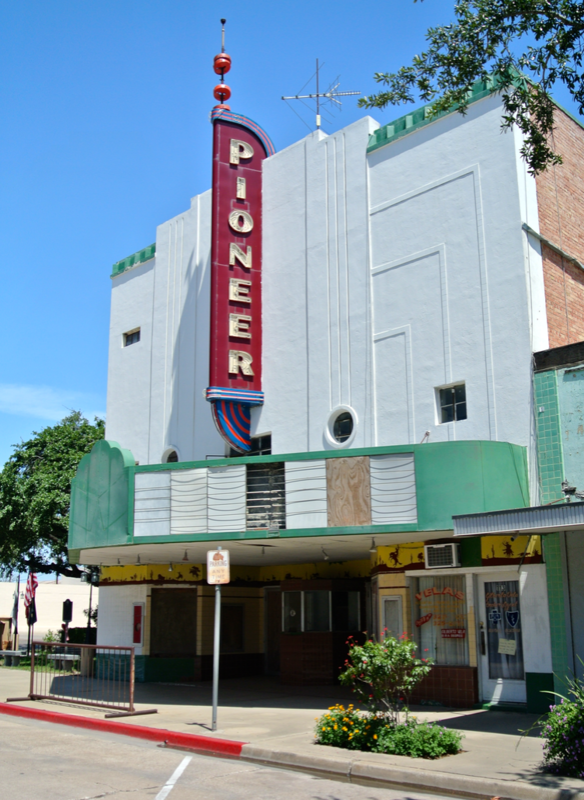 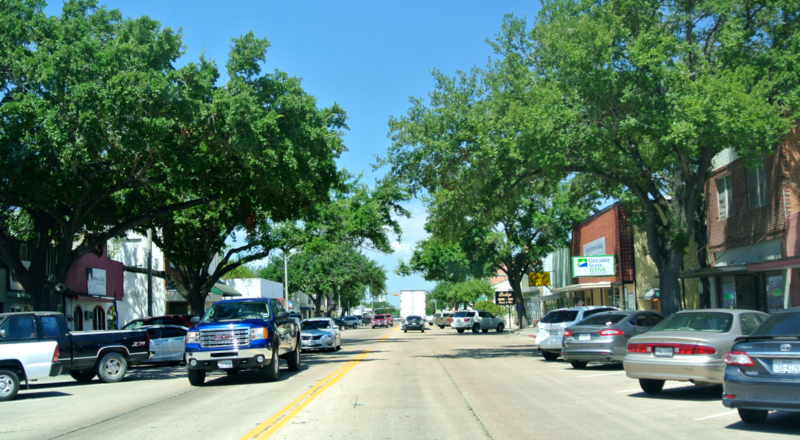 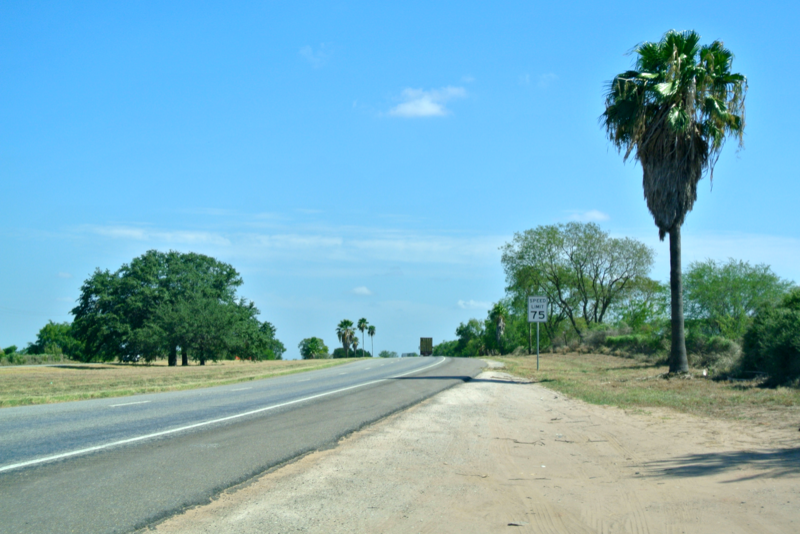 “In 1911, after several years of effort, Lasater, with the help of State Representative John Abijah Brooks, succeeded in having Brooks County separated from Starr County, with Falfurrias as the county seat. 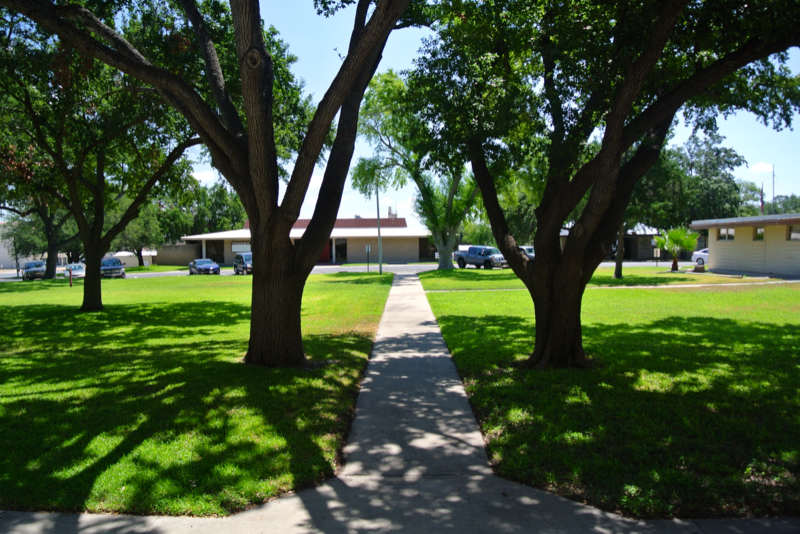 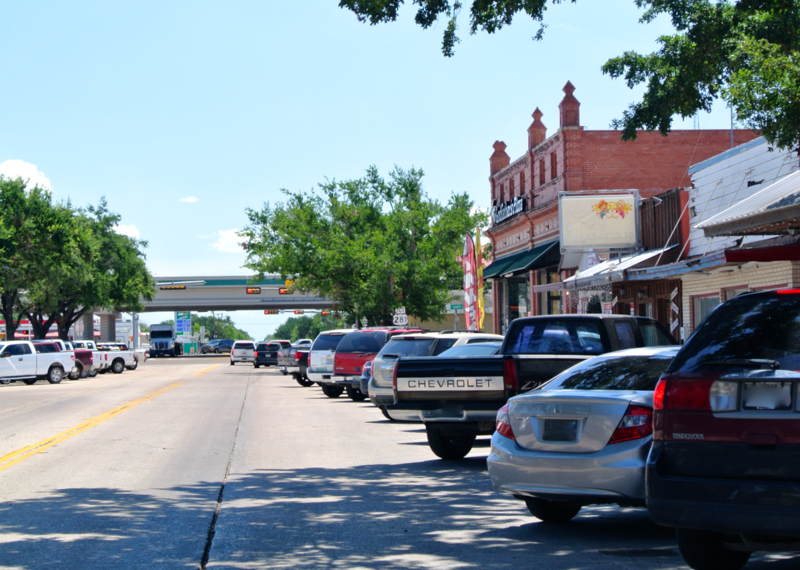 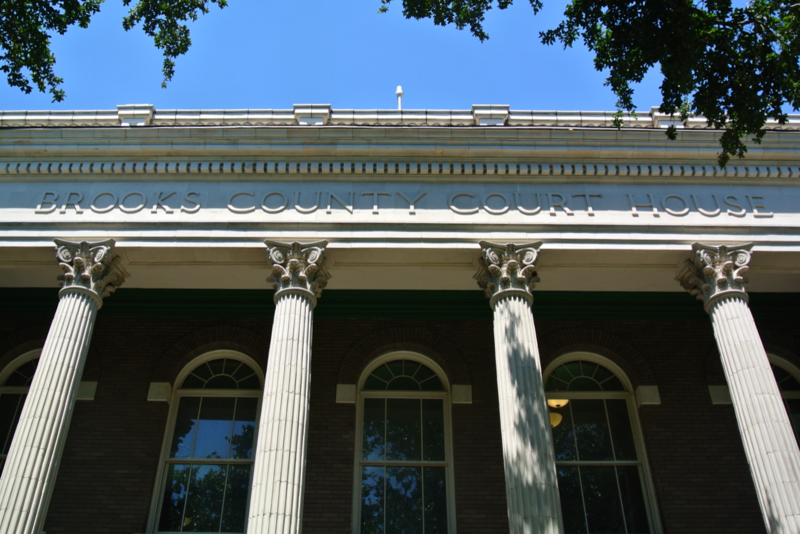 The initial plans were to name the new county Falfurrias County, but in the end it was decided to name it Brooks in honor of John Brooks, who worked diligently for its formation. 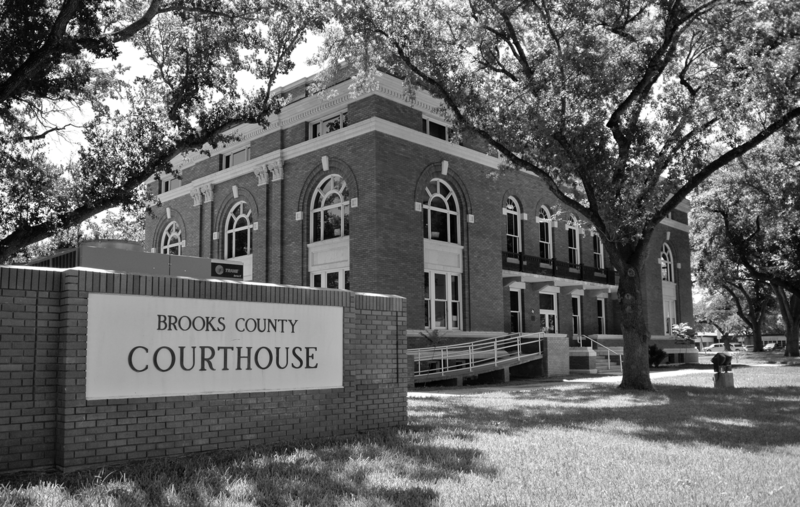 I was the guest of Falfurrias and Brooks County on August 12, 2014. 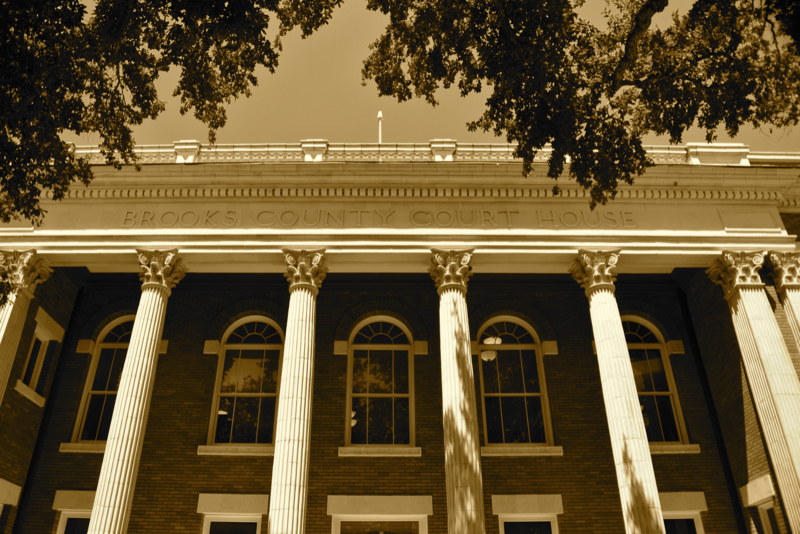 As Brooks County wasn’t even organized until the twentieth century, this is their first and only courthouse. 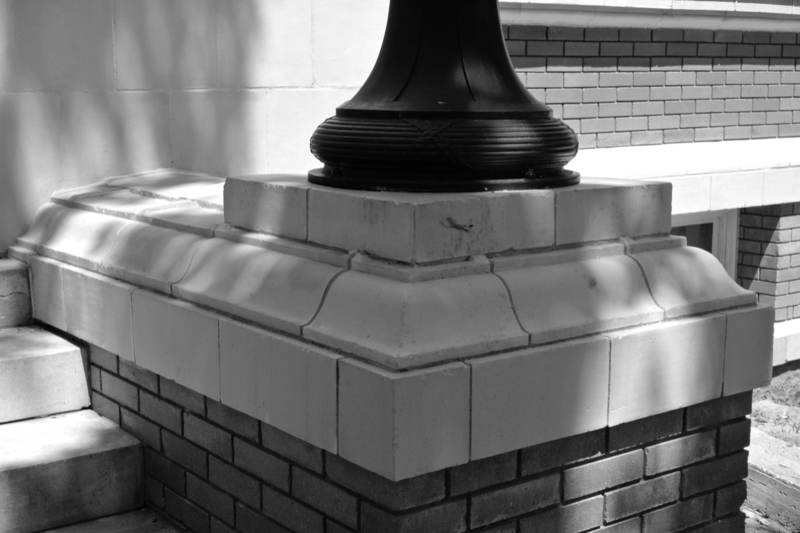 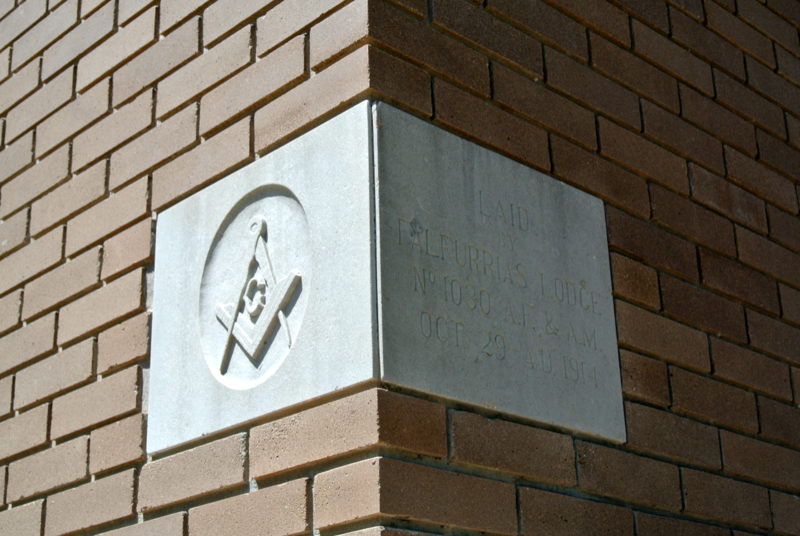 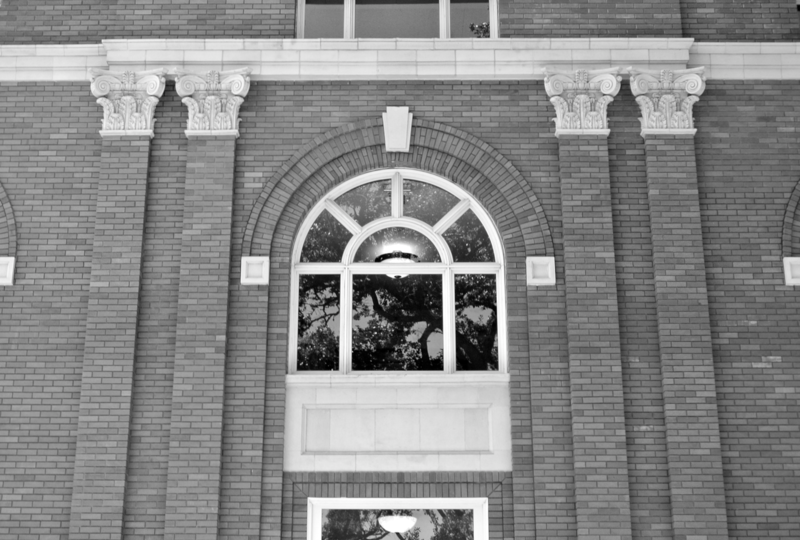 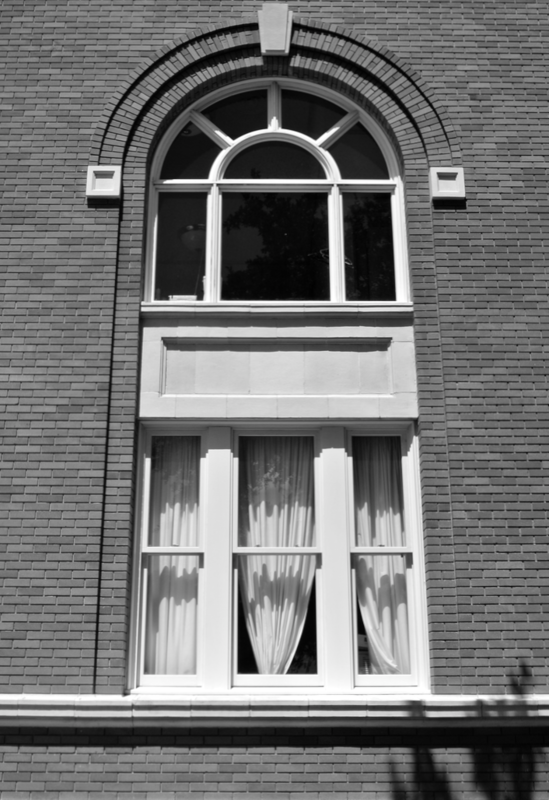 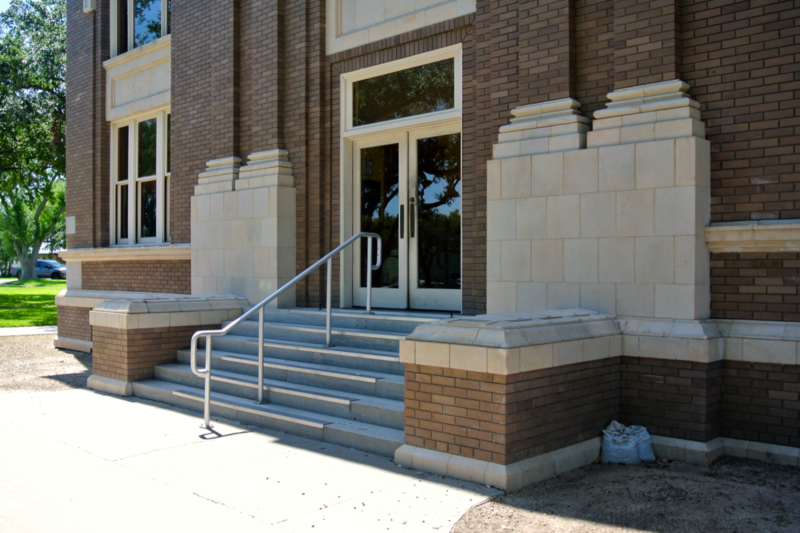 This brick building was designed in the Classical Revival style, which includes “terra cotta classical details”. 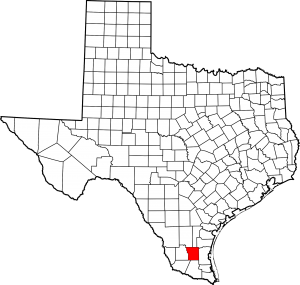 The plans were drawn up by none other than Alfred Giles, who had work in nearby Webb County as well. 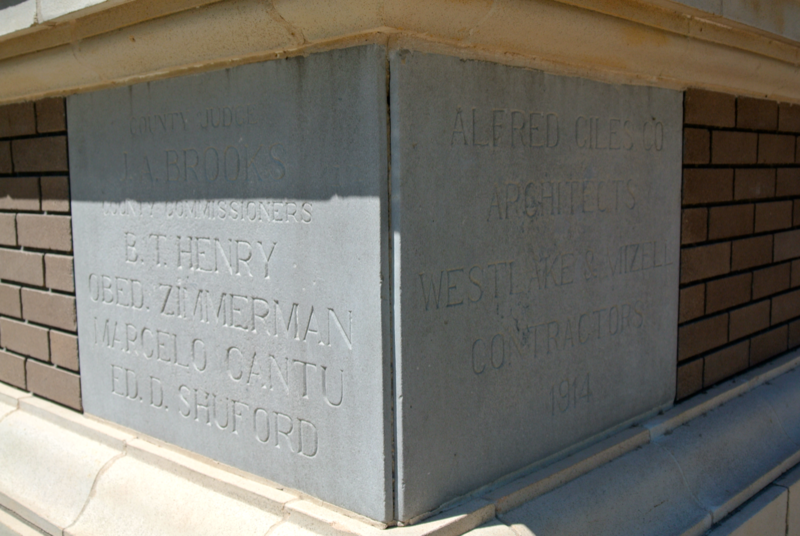 The contractors were Westlake & Mizell. 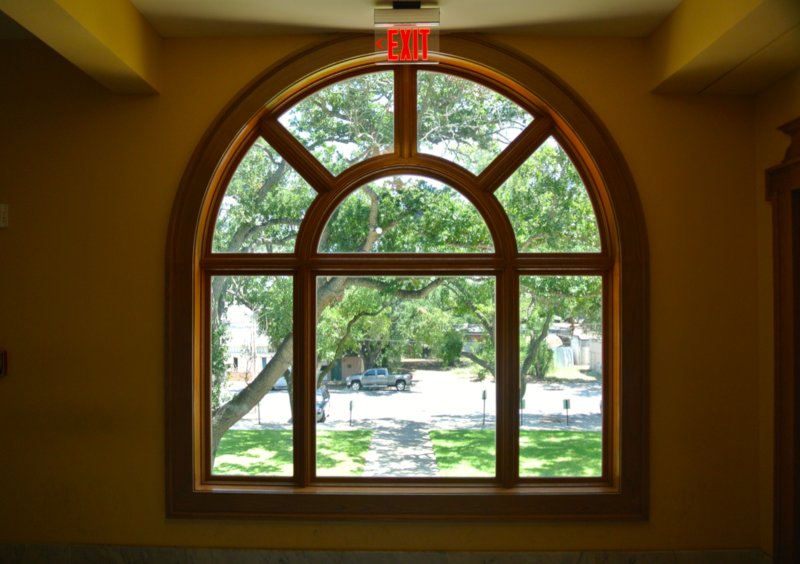 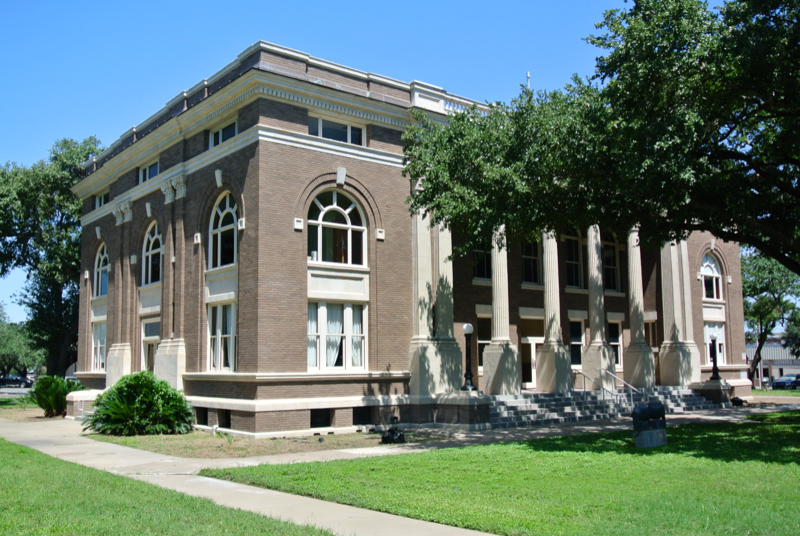 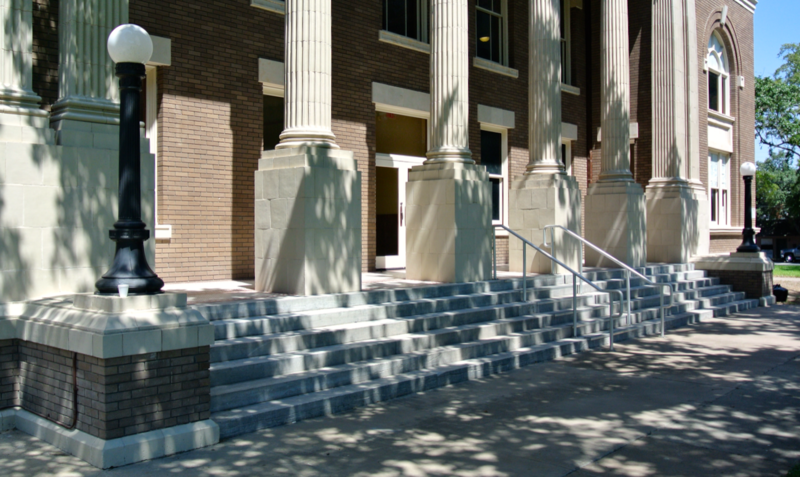 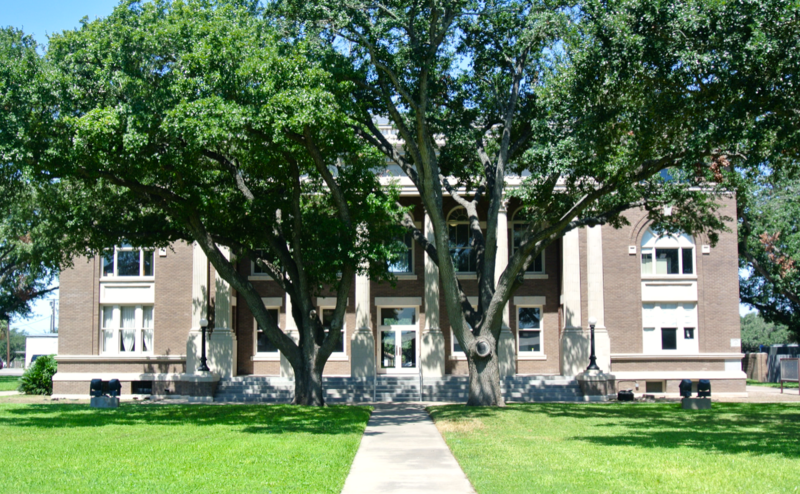 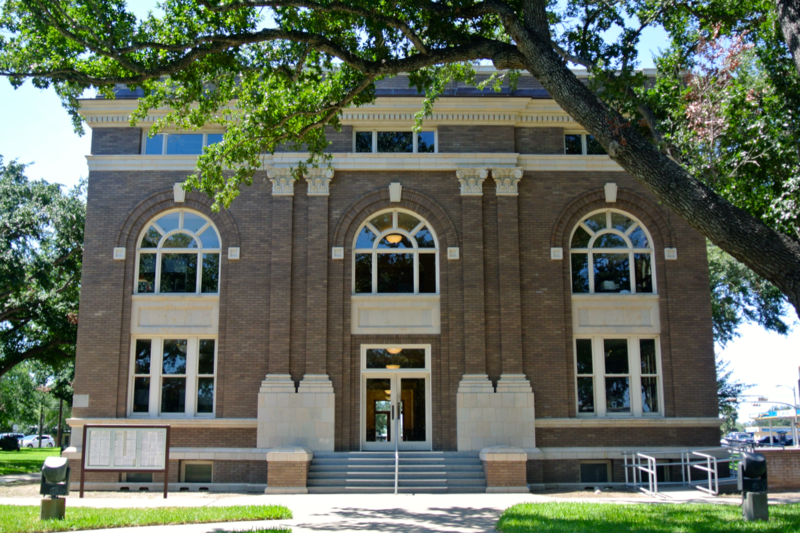 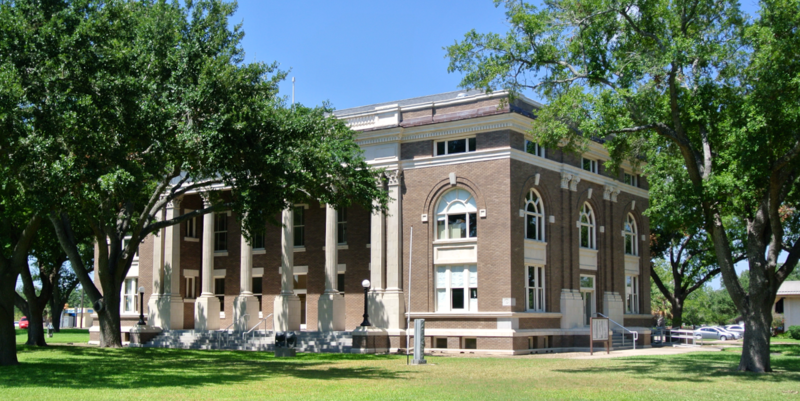 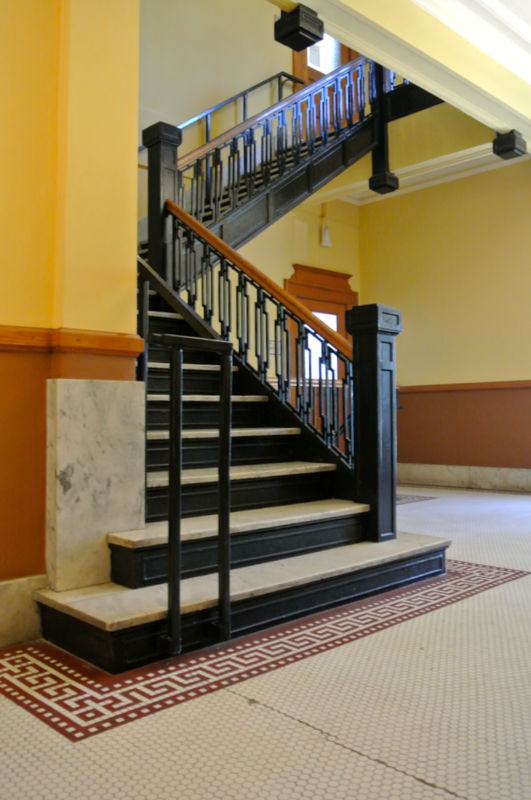 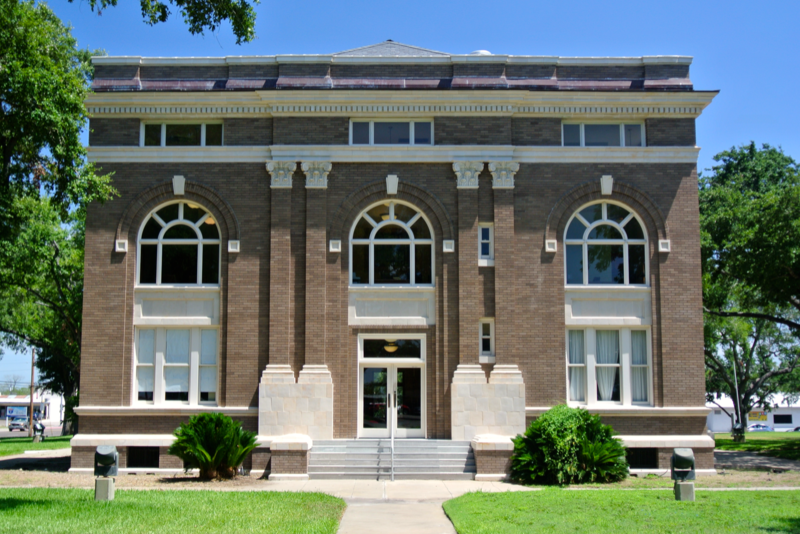 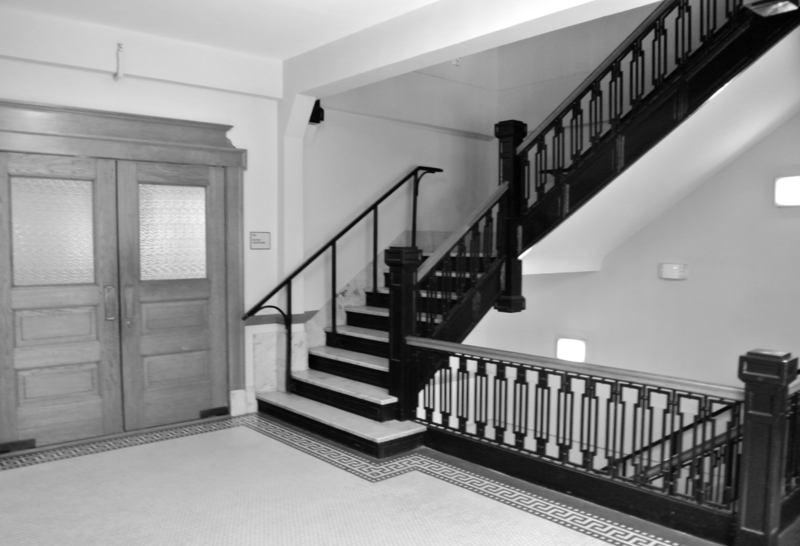 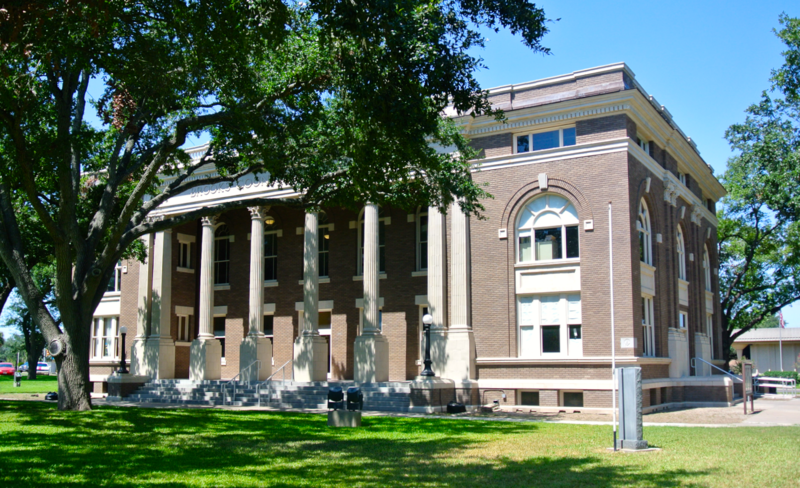 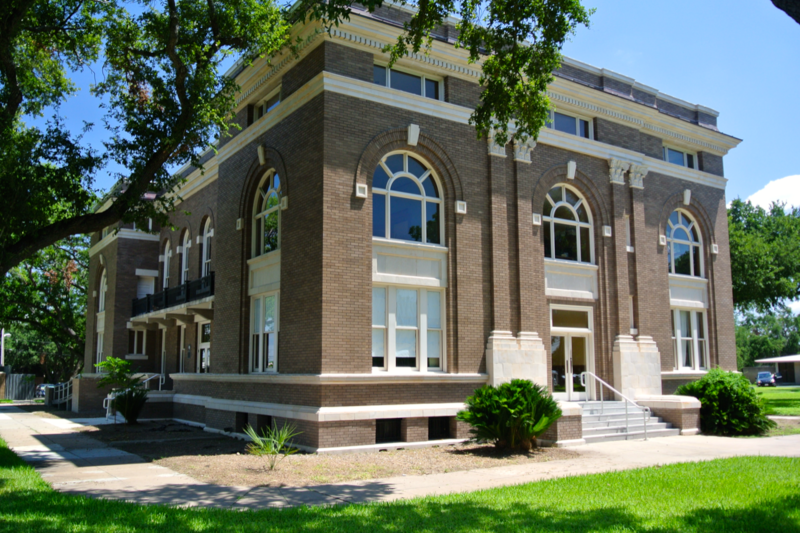 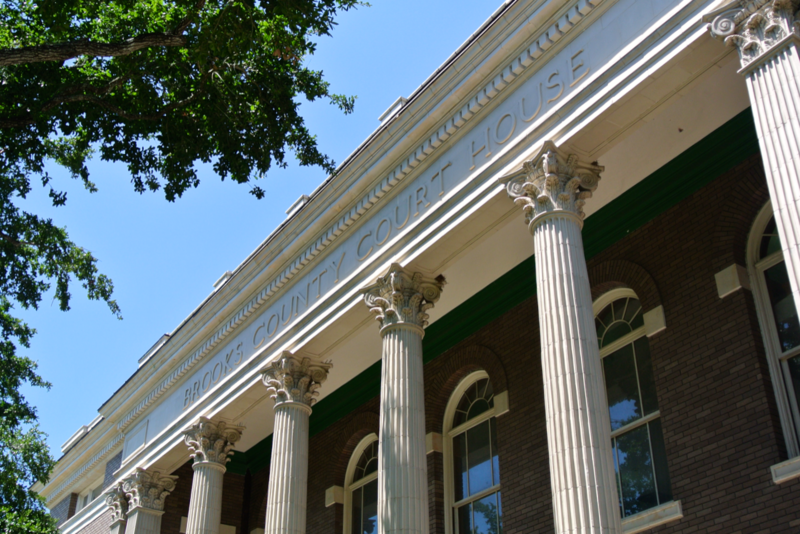 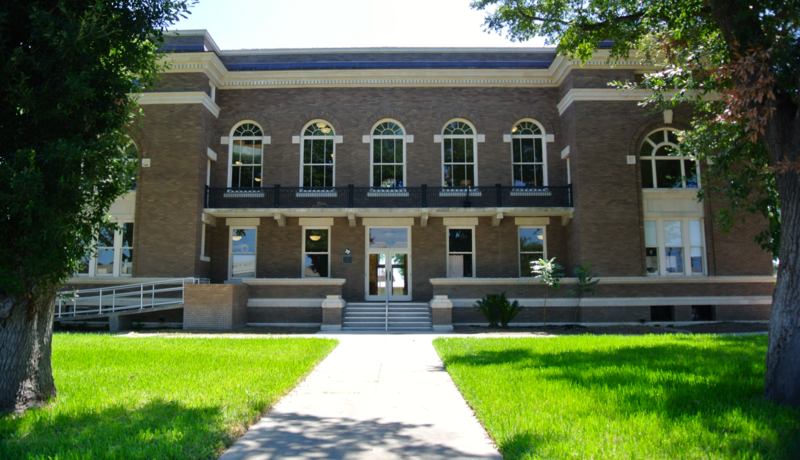 Once in the city, you can visit the restored and beautiful courthouse Brooks County Courthouse. 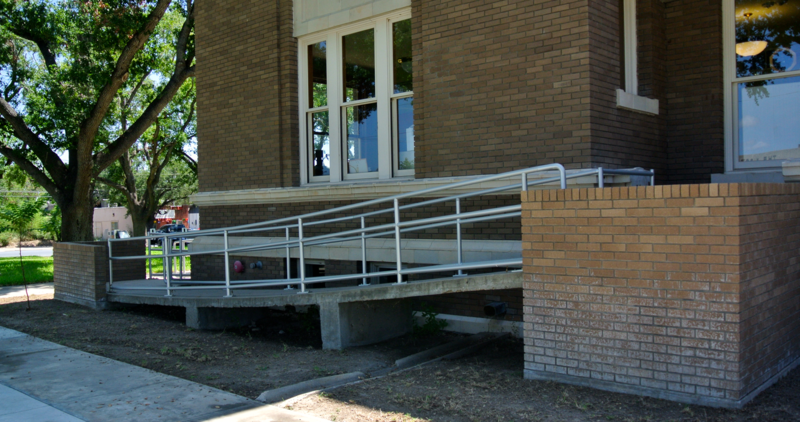 A seemingly “sagging” wheelchair ramp is on this side. 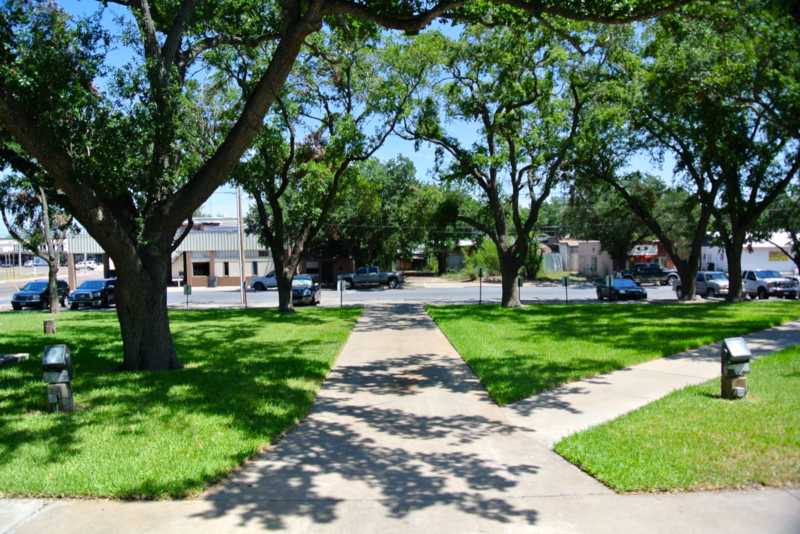 Falfurrias is home to the “Fightin’ Jerseys”. 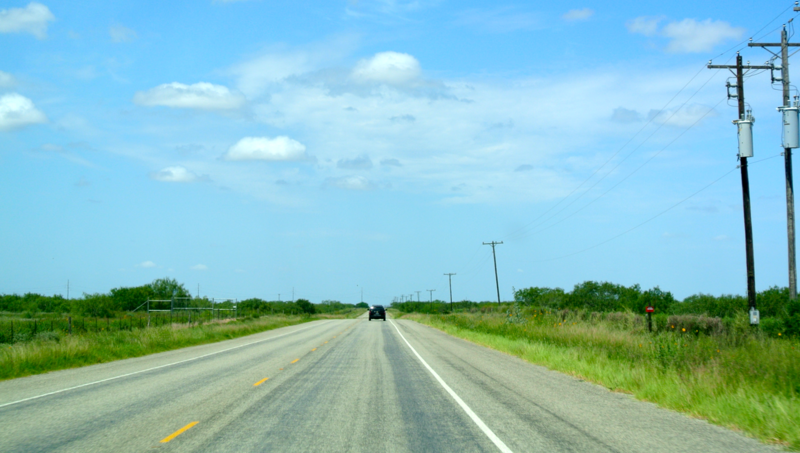 Turns out, this road straddles the county line. 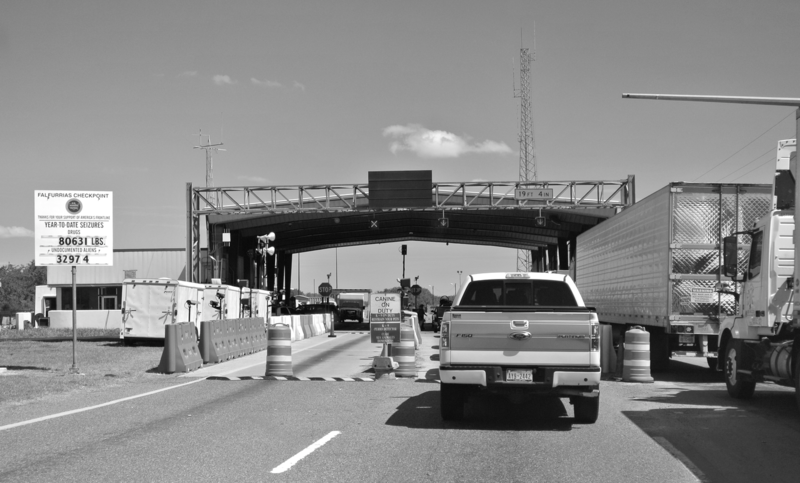 Everything to the left of that semi is Brooks County, and everything to the right is neighboring Duval County.